Our 30+ years of experience allows us to always guarantee all of our services with a 100% satisfaction guarantee. 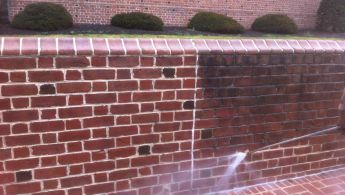 Aluminum, vinyl, stucco, EIFS, hardiplank, masonite, painted wood, exposed wood, brick, and stone can be restored to its original beauty without the use of excess water pressure. 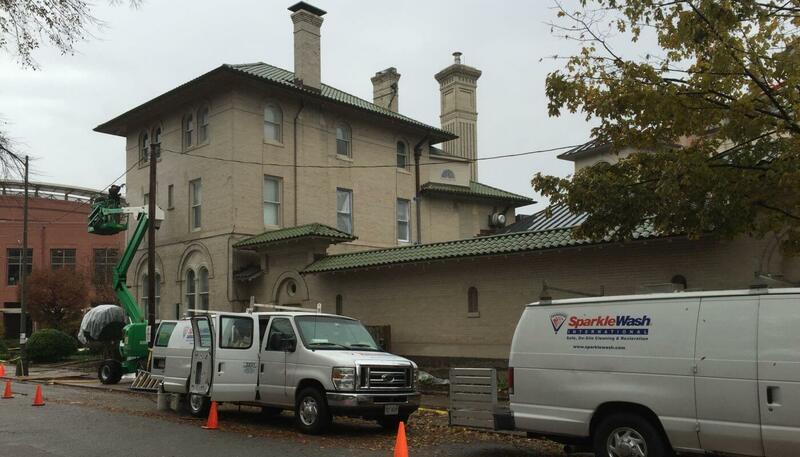 SparkleWash will use a combination of exclusive patented cleaning products and low- pressure cleaning methods to remove all of the gray, black, and green from your exterior wood surfaces. 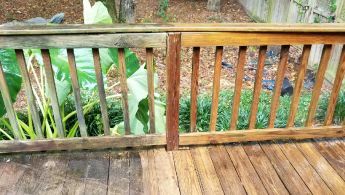 Have an exterior stain or blemish on any exterior surface you think no one can resolve? Give us a call and see what 30+ years of experience and support from an International Franchise can deliver. 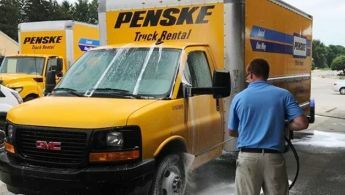 SparkleWash of Central Virginia is a much more cost effective way to clean your fleet vehicles, and will produce a guaranteed higher quality cleaning. 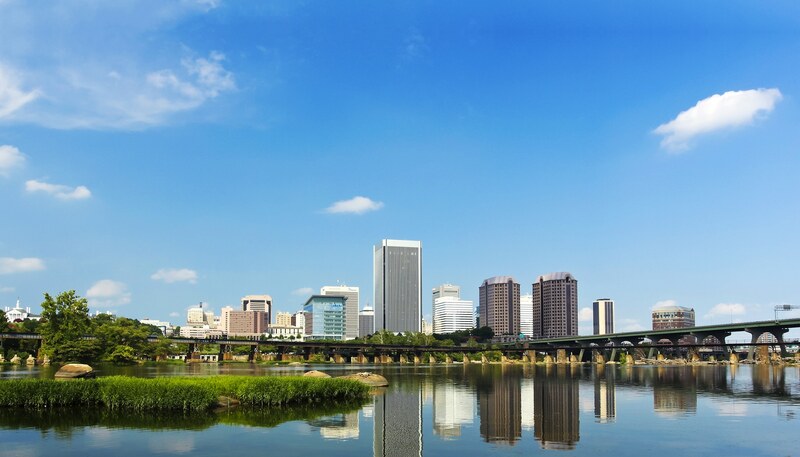 We are a full-time, year round professional cleaning company serving Central Virginia’s construction customers since 1976. We offer a 100% satisfaction guarantee on every service we perform. We have specialized cleaners and equipment to take on tough oil, fuel, and soil stains. 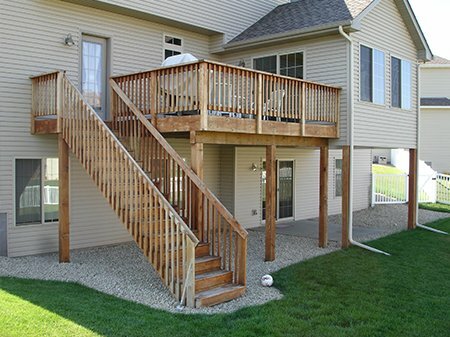 Your driveway will look nearly as good as the day it was installed. 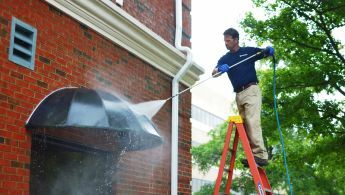 In the nearly 40 years of serving the Richmond area we've helped thousands of local residential and commercial customers with all their exterior cleaning projects, from entire apartment complexes to individual pieces of patio furniture. 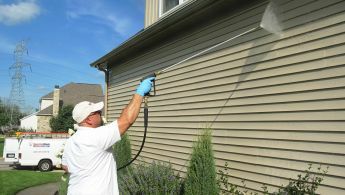 So, being the oldest exterior cleaning company in the area, we have the necessary experience to clean your property right! 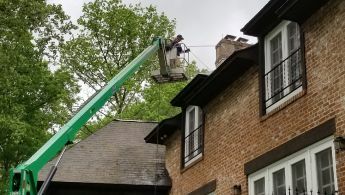 SparkleWash of Central Virginia has a VA Class A Contractor's license (#2705 126753A, HIC and CIC Classifications),and carries a $2,000,000 general liability, commercial auto, garage keepers, and workmen's compensation insurance policy. Our patented equipment and chemicals were designed and produced from 45 years of industry specific experience from a network of over 100 franchisees. Our equipment and cleaning products did not come from the hardware store. Pressure is not the answer, but the problem. 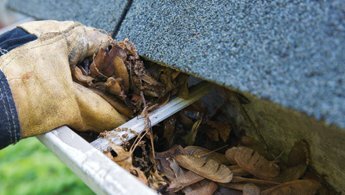 Excess water pressure and inexperience, equals disaster for your property. 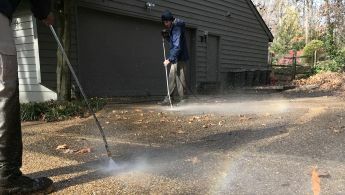 Conversely, our use of superior cleaning agents allows us to use minimal water pressure for guaranteed amazing results. Over half of our business comes from existing customers and their referrals. A happy customer makes for a repeat customer. No nickel-and-dime service here! When we clean something, we clean it. 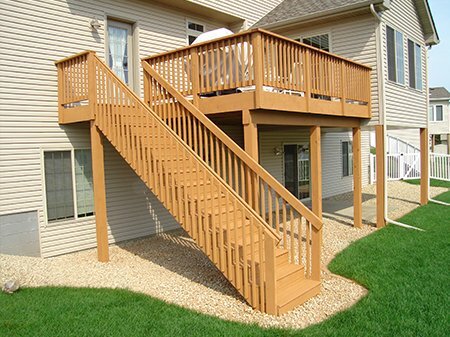 Everything is spelled out clearly in our free on-site estimate or consultation.